Almost every iPhone user knows about the silent button which is located on the sidebar of the phone. It can be used to silence the iPhone in just one stroke. Whenever you want to silence your phone or have it back to normal mode, you can use the button. However, if the silence button is not working on your iPhone, what would you do? Surely, you have no idea about it. But today, we are going to explain how to silence iPhone without using the silent button. Sometimes the silence button doesn’t work on some iPhones. There could be many problems including hardware problems. Moreover, some people don’t want to use that silence button as it is not comfortable to them. If you use an iPhone and you cannot use the silence button to silent your iPhone, don’t worry about it. We will tell you some different methods of how you can make silent your iPhone. Now have a look at some various methods. 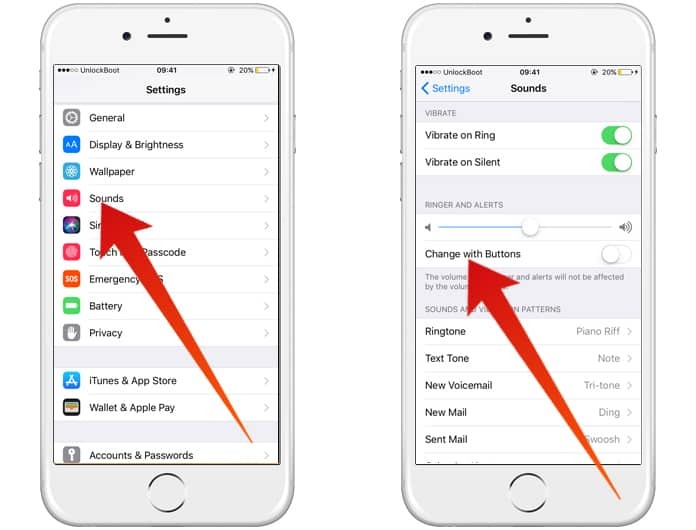 The first and easiest method of using silent mode on your iPhone is disabling all sounds. In this way, you will disable all sounds on your iPhone which will probably give you a silent mode on your iPhone. To complete this process, follow the steps mentioned below. Step 1: Click on the Settings app on your iPhone and go to Sounds option. Step 2: Here you will see an option named Sounds and Vibration Patterns. Click on it! Step 3: Now you will have to click on None option. Step 4: Here you can create your custom ringtones which can be used on your iPhone. Step 5: If you want to silent your phone, you can create a silent ringtone which includes no sounds for all apps and notifications. Step 6: After creating such ringtone, sync it to your iPhone, and it will be available on your phone to be used. Now merely use that profile ringtone to silent your iPhone. You can also use the None option for every alert type on your iPhone. However, it will work in both the ways. Another way to using silent mode on your iPhone is reducing the volume level. We know that we can use the volume button to increase or decrease the volume level while listening to songs or watching movies. However, if you reduce down the volume level to its lowest point, it will give you a silent mode. Simple press the volume down button until the volume reduces to the last point. If you are unable to use the volume button to reduce down the level, follow the process mentioned below. Step 1: Open Settings app on your phone and proceed to the Sounds option. Step 2: Here you will see Change With Buttons option. You can click on it to switch it on. Step 3: Now you will be able to use the volume button to reduce down the volume level. After reducing the volume level, the sound would be too low, and it will feel just like the phone is on silent mode. 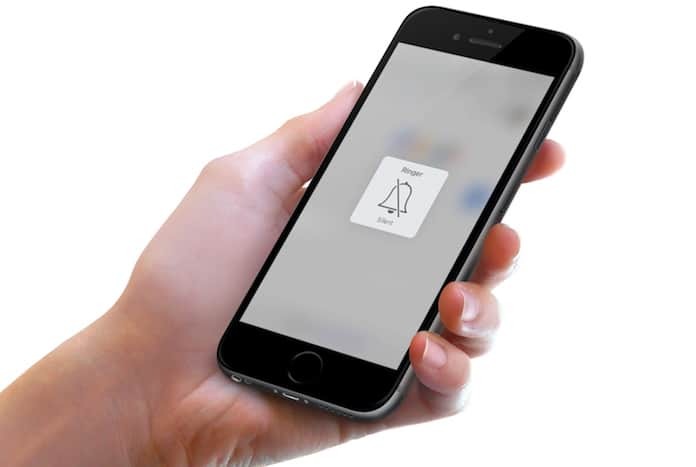 We hope that these methods to silence iPhone without using the silent button, were efficient for you, and if you still have some problems, feel free to comment in the section below.